Someone once made an unflattering comparison between Chardonnay and a part of one's anatomy best left unmentioned, saying "everyone's got one, no one wants to hear about yours." Sadly, Chardonnay is a victim of its own success and frequently a punch line, despite being one of the most highly esteemed wines in its guise of Grand Cru Chablis or Montrachet. 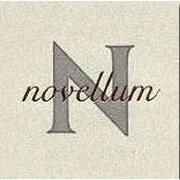 We are not claiming that Novellum is like these auspicious wines, but we will argue that for its price you can hardly find better. The project is from the Roussillon, where husband and wife team of Domaine Lafage fame, Jean-Marc and Eliane Lafage, have some Chardonnay planted near the Mediterranean that makes a remarkably complex and mineral version of the variety. A small percentage is aged in barrel – usually less than 30%. The remainder of the wine is aged in tank on the lees of Viognier. It remains one of the best values in Chardonnay that you can find. Wine Advocate 87 "The silken-textured Lafage 2012 Novellum Chardonnay is generously juicy if rather simply apply, its hints of spice, caramel and vanilla from barrel complimentary, and its finish satisfyingly soothing if equivocal and without intrigue. I would plan to enjoy it by summer, 2014."